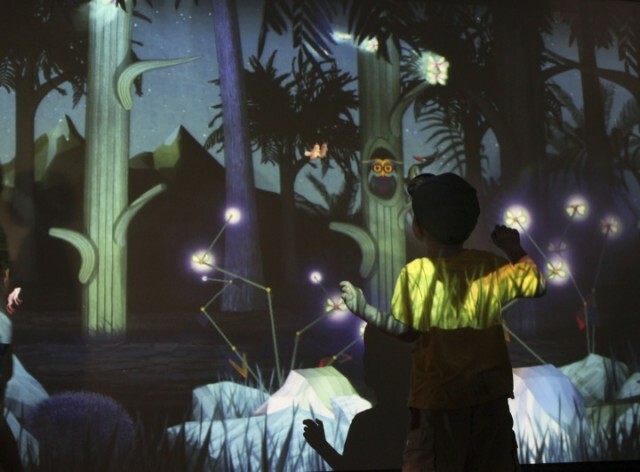 Although this is an old post, it is a great example of using gaming technology (Kinect) to promote exploration and learning. In this immersive exergaming experience, participants are encouraged to move and interact with the digital environment that respond to them. For example, "Some creatures will also only come out when the forest is quiet, so you have to listen for the sounds they make to locate them."